More in this Section... Leadership for BDPA Advantages For IT Professionals Mission National President's Message Programs and Services How to Post Jobs WHY JOIN? 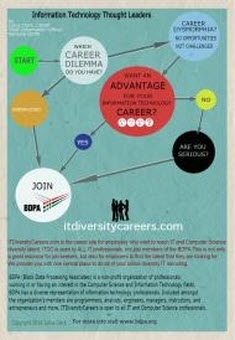 BDPA is an international organization with a diverse membership of professionals and students at all levels in the fields of information technology, computer science and related S.T.E.M fields. Members are actively engaged in serving the community through outreach and charting the future of the IT industry. BDPA Motto: "Advancing Careers From The Classroom To The Boardroom." BDPA is more relevant than ever: Silicon Valley's Diversity Problem - NY Times Article About The Lack of Diversity in Silicon Valley. BDPA co-founder Earl Pace is inducted into the CompTIA IT Hall of Fame. More..
BDPA is the largest professional technology organization for Blacks/ African Americans and other minorities in the United States. BDPA has grown to 45 chapters across the United States, which provides a safe environment for minorities in IT to network with other IT professionals, gain exclusive boardroom leadership experience at the local chapter & national levels, and strengthening the skills necessary to advancing in their respective IT careers. BDPA has become a critical pipeline of diverse talent for employers across all industries requiring qualified Information Technology professionals in the United States. 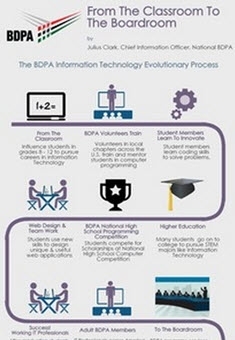 BDPA trains 800 to 1200 high school students across the nation every year in computer programming and web development; BDPA has trained more students to write code than any other non-profit organization in the United States since 1986; period. BDPA has an awesome scholarship program which is generously supported through sponsorships, and offers over $100,000 annually in cash awards to high school and college students. BDPA amasses the most significant accumulation of minority IT professionals in the United States at its annual National Technology Conference. Founded as the Black Data Processing Associates in 1975 by Earl Pace and David Wimberly (Photo not available), BDPA was created to bring underrepresented minorities together who were working in the information technology and computer science field for the purpose of professional development and academic enrichment. Watch and listen to Earl Pace discuss the history of BDPA. Past BDPA Technology Conference History. BDPA is a global member focused technology organization that delivers programs and services for the professional well-being of its stakeholders. Be a powerful advocate for our stakeholders' interests within the global technology industry. 1. Operational Cleanup – Fiscally sound practices and improved productivity. 2. Transformational Change – Organizationally aligned for significant membership growth. 3. Value Proposition – A premier provider of programs and service for all stakeholders. Annual National BDPA Technology Conference - For the past 35 years, BDPA Conferences have provided opportunities for innovators to get the knowledge, access, and resources that are critical to stay on top. 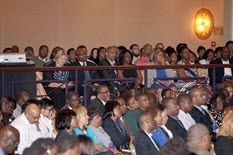 Click here to see a list of past National BDPA Conferences. Local Chapter Events - With over 40 chapters nationwide, IT professionals are able to meet face to face and network. Continuing Education & Professional Development (Events) - Cutting edge technologies and certifications. Webinars and articles that speak to best practices and the latest trends in Information technology. Online tools and publications: Professional Publications, Job Board, Diversity/Careers Magazine, bdpatoday and BDPA iRadio. Academic Scholarships and Mentoring - For students and professionals Scholarships made available through the BDPA Education and Technology Foundation (BETF). BETF is a 501(c)3 non-profit charity. Career Opportunities - As a member you have access to the latest job announcements, have your resume seen by recruiters as a part of our member database. Connections are made at every BDPA Conference and online. Attend the Career Fair Expo and meet representatives from sponsoring corporations, non-profit organizations, government agencies, and graduate schools, to learn about the latest technologies and career options in the STEM fields. And much more! Our recruiting resources reach all levels of a national pool of qualified information technology professionals to support your efforts to maintain a diverse workforce. Employers click here to post a job. Our career development services enhance the technical and professional skills of your current and future minority IT professionals to accelerate their value to your company. Click here to learn about our prestigious Corporate Eplison and Best Companies for Blacks in Technology Award Programs. We foster partnerships with our sponsors to build their recognition within the community through activities that help close the digital divide, and increase community proficiency using technology. We provide networking opportunities to share expertise and creating business opportunities between our sponsors and BDPA's entrepreneur members. The BDPA Corporate Sponsorship Program offers corporations an opportunity to partner with BDPA to meet corporate goals and objectives for recruiting, employee development, and philanthropic endeavors. Please click here for more information on corporate sponsorship opportunities. 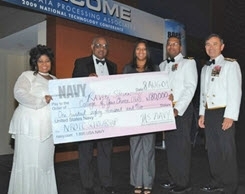 Community Outreach - National BDPA Student Programs - Student Information Technology Education and Scholarship (SITES) & National High School Computer Competitions (HSCC) and Youth Technology Camp (YTC) - African American students are only awarded three percent of all Computer Science & Engineering related degrees. The BDPA HSCC program is standing in that gap and has become a pipeline for future Computer Science & Engineering students. Designed to introduce Middle School and High School Students to concepts of Information Technology and Business Acumen. Students will have the opportunity to participate in training sessions on compete on a national level for scholarships. Please click here to read HSCC student testimonials. Professionals who love to give back to their communities by volunteering their time can be recognized via the Presidents Volunteer Service Awards. Opportunities for leadership - Be a part of the leadership team shaping the future of the organization. Social Network Communities - BDPA has a Social Networking Community of over 70,000+ IT industry connections. Be part of a national movement and make a difference in the lives of African American information technology professionals as we work together to create the changes needed for diverse work environments and supportive communities. So the next time someone asks, Where are the Blacks in Information Technology? Where are the Blacks In Technology? Where are Information Technology Thought Leaders? Where are the Blacks In STEM? Where are the Black Digital Leaders of the future? Tell them they are all in BDPA! If you have questions, please use contact us located at the top of this page.